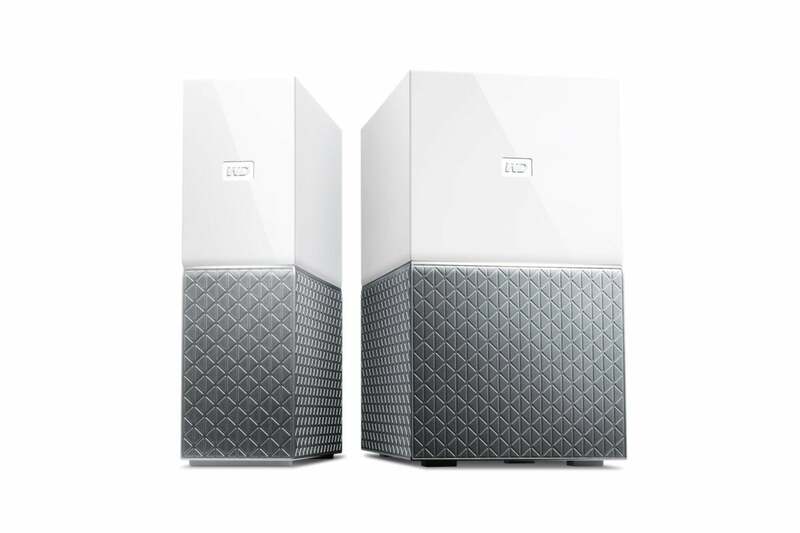 WD’s latest My Cloud NAS boxes, the single-drive Home and dual-drive Home Duo aren’t just new products, but new products refocused on ease of use. To that end, the setup, management, and browsing experience has been rendered as close to that of familiar online storage services as possible; i.e., you log in via a web portal to set up, peruse your files, and configure the unit. We like the approach, and it’s quite proper for WD to refer to the My Cloud Home not as NAS (network attached storage), but rather as a personal cloud. The only problem is that functionality and performance are all too close to what you can expect from a cloud-based solution, even though the box is right inside your home. The WD My Cloud Home features the company’s new two-tone, half-sculpted design motif that we first saw in the My Passport series earlier this year. With the thin power LED separating the two halves on the front, it presents a striking countenance that’s not necessarily reminiscent of NAS. That’s a good thing, especially considering the keep-it-simple audience it’s playing to. 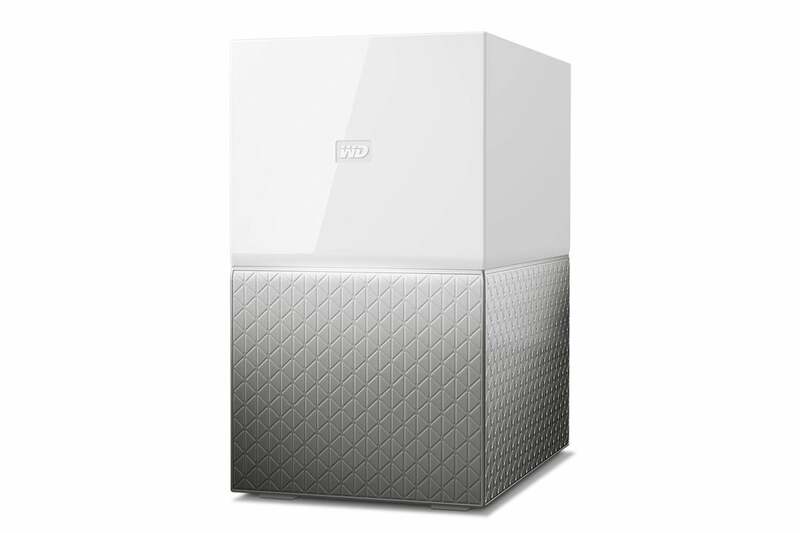 The new WD My Cloud Home is available in both single- and dual-drive configurations. We reviewd the latter. We tested the 8TB, two-drive My Cloud Home Duo, which sports a single gigabit ethernet port and two Type-A USB 3.0 ports on the back. (There’s also a single-drive unit with only a single USB port.) Directly above those ports is a thin power button, and below is a reset button and the AC port. The drive/drives are user-upgradeable and replaceable and accessed from the top by prying off the top plate from its back edge. The My Cloud Home will sync data with such services as Dropbox, OneDrive, and Google drive, so if you’re backing up your photos and other stuff from your phone, you can keep another copy on the My Cloud Home and have them handy for offline use. 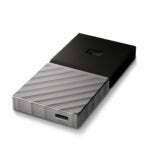 There’s also some standard NAS functionality in the form of multiple users and file sharing. WD provides several apps, including IFTTT and Plex Media server, but not nearly as many apps or capabilities as it does with its other My Cloud products. Conspicuously missing in action are iTunes and DLNA servers, as well as the ability to back up to a directly attached USB drive. At least as far as we could tell. The USB ports seem to be for import only, and did not recognize the 2TB drive we attached. Note: You may of course back up the data on the My Cloud Home using conventional means; i.e., simply copying the data to another device using backup software or by dragging and dropping files and folders. Setup with the Duo Home is as easy as surfing to http://mycloud.com/hello, creating an account, and entering a 9-digit code you’ll find on a card in the box the NAS ships in. You may then access your files via the web portal. If you want complete local access—that is, a drive letter. or something similar that you can drag files to—then you download the WD Discovery app, install it, and sign in from there. More on that in the performance section below. WD Discovery is available for Windows, MacOS, Android, and iOS. When using WD Discovery in Windows, a shortcut to the mapped drive is created. Z: on our system. But it disappears if you quit the Discovery app. That won’t make tech types happy, and neither will the fact that you can’t access the unit’s configuration pages directly from the box by browsing to a local URL, such as 192.168.1.125, as you can other NAS boxes. All configuration must be done via the portal. The My Cloud Home Duo’s 45MBps read performance with a collection of small files, its 110MBps performance with a single large 20GB file, and its large file write performance of 44MBps aren’t the fastest we’ve seen by a long shot, but they’re acceptable. But what to say about the small file write performance of 70KBps to 150KBps? (Yes, that’s kilobytes per second) Abysmal? Pathetic? Performance climbed at times to 35MBps, but overall it took a surreal 1 hour and 20 minutes to complete a 20GB file and folder transfer. That’s 4MBps. Not good. It was very slow deleting those files as well. Our guess is the files were being handled by the Discovery app, whose intermediary presence gummed up the works. These are the numbers from a completed test. Zero is not good. The WD My Cloud Home also took well more than an hour to write 20GB of files and folders. The norm is 4 to 5 minutes. Additionally, once or twice, cancelling copy procedures forced a restart of Windows Explorer, after which the My Cloud Home Duo was no longer available. A question mark resided alongside its drive letter until rebooting either the WD Discovery app or the entire system. Whatever tricks WD is playing with the operating system, and there are several background processes running, they are not yet fully stable. Or fast. On the upside (sort of), you can use the Home Duo’s public IP address (e.g., \\192.168.1.123 in our case) to reach the Public folder via Windows Explorer. This, we guess, bypasses WD Discovery, and it ups performance to an acceptable level—around 60MBps writing the small files, and 110MBps writing the single large file. Unfortunately, that Public folder doesn’t show up when using WD Discovery or the My Cloud web portal. 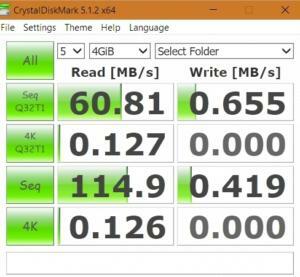 We’re fans of WD’s attempt to make NAS easier. Kudos and “good job” for that. But is avoiding 15 minutes studying a user’s guide worth severely reduced functionality? No. Even with the dual-drive model’s mirroring, the lack of USB backup makes this box a potential data disaster waiting to happen. And the write performance? We don’t know what to say. Stick with the regular My Cloud or try the Seagate Personal Cloud if you want ease of use without neutering. We like the simplicity of the WD My Cloud Home Duo's portal-based setup and access. But ridiculously slow write performance will waste way too much of your time, and the inability to back-up to USB leaves your data vulnerable.